It's tough for most children with autism to thrive in large general education classrooms. Some districts do a terrific job of including kids on the spectrum and adapting curriculum to meet their needs. Quite a few districts, however, do a poor or awful job. Would a private setting be a better option? If you're seriously considering private school for your autistic child, chances are your child has had significant problems in your local public schools. Rather than fighting an ongoing battle to get your child what he or she needs, it may make sense to go the private route. More and more small, specialized private schools are supporting the needs of kids on the autism spectrum. They offer strong therapeutic interventions that are tailored specifically for kids with special needs and avoid the many possible pitfalls of the public school system. Many kids with autism thrive in private settings, and many go on to careers or higher education. On the other hand, there are some real downsides to private education for autistic children. Private schools are smaller than most public schools and can offer a higher teacher/student ratio. Private schools may offer more appropriate pedagogical approaches for children with autism. Hands-on learning and child-directed education may, in some cases, be better for an autistic child than verbally-based education. Autism-specific private schools can also offer behavioral, developmental, or therapeutic pedagogies that may be ideal for your child. Private schools are often good places for autistic children to find and connect with peers. This can be tough in public schools where even the most welcoming peers are unlikely to see your child as a potential friend to invite to parties or dances. Private schools, particularly those set up for kids with special needs, are likely to provide adaptive experiences that your child can handle. For example, your child may be included in music, theater, or sports in private schools even if he couldn't handle the expectations for those activities in public school. Many private schools won't accept children with special needs, and those that do have the right to expel such children if they can't live up to the school's policies or expectations. Private schools geared to children with special needs take your child away from their local community and may create an unrealistic vision of what the "real world" is like. Private school is expensive. Ordinary private schools cost in the vicinity of $20,000 per year. Specialized private schools can run $50,000 or more per year. Obviously, this kind of bill is beyond the means of most families. In fact, the bills for special needs private schools are often footed by the local school district. To get a child placed in such an expensive setting, parents need to prove to the school district that no available public setting could meet their child's needs. This isn't easy to do since just two or three children can set the district back more than $100,000! It takes a lot of time, energy, and dedication to get a district to fund private school, so parents need to feel confident that the choice is right for their child. Typical private schools can sound like wonderful settings for your child with autism. They offer smaller class sizes, more individualized teaching, and significant flexibility in terms of curriculum. They don't require standardized testing, which can be a huge plus. The private school community is smaller and more intimate, meaning that you and your child can get to know the parents and children well. Unlike public schools, though, which are required by law to educate your child, typical private schools have no obligation to take on children with special needs. A typical private school may say "yes" to a kindergartner with high-functioning autism or Asperger syndrome, only to change their minds mid-year. And, though many private schools are working toward supports children with learning disabilities and other special needs, autism is still a bit of a mystery. 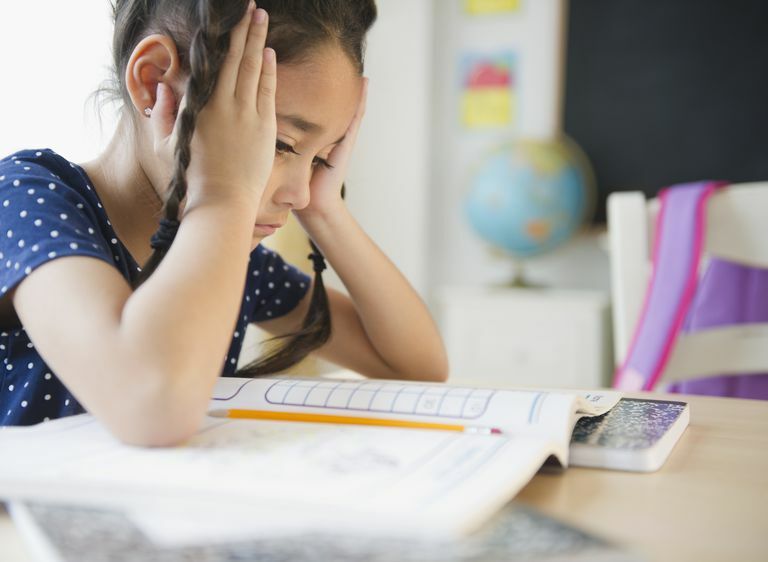 How do you help a child who is a whiz at reading but can't handle circle time? Few typical private schools hire teachers with specific special needs training. Once a school knows that a child is autistic, they may well simply say "we don't have the facilities to help your child succeed." To avoid an automatic "no," some parents will strategically "not mention" their child's diagnosis. But most teachers and administrators are smart enough to notice when a child has significant special needs. In the long run, it's possible that your child's challenges will make it impossible to continue in a typical private setting without support. Special needs private school are springing up across the country. The majority of these schools specialize in reading disorders like dyslexia. A few will take on children with diagnoses of attention deficit disorder. Recently, there has been more acceptance by private schools of children with Asperger syndrome (though this remains rare). Unfortunately, though, general special needs private schools tend to exclude children with autism. If you can find and fund a non-specialized special needs private school for your child, you may have a terrific experience. Often, children with special needs are more tolerant of differences. And, oftentimes, the same supports that make education easier for a child with ADD are appropriate for a child with Asperger syndrome or high-functioning autism. The downside to such a setting is usually location. It's tough to find such a school in any local neighborhood. And, because the school is private, transportation is either nonexistent or high-priced. Parents generally have to find a way to make the school work for them. More and more private schools are opening which specializes in serving children on the autism spectrum. These schools are expensive since they build in full-day therapeutic interventions including speech, occupational, and physical therapy as well as academics. Tuitions can easily be as high as $75,000 per year. They may also be the ideal choice for your child with autism. Autism-only schools serve both high and low-functioning children with autism and can do a great job at both ends of the spectrum. Young people with Asperger syndrome may find themselves at home for the first time in their lives at an Asperger-only school. There, they may find true friends, supportive and understanding teachers, and opportunities to thrive in new ways. Children who are more profoundly autistic will find highly trained specialists with the time, energy and commitment to providing intensive, caring 1:1 intervention. Autism-only schools are often set up based on a specific therapeutic philosophy. For example, there are private schools which spend the majority of the day implementing behavioral intervention. There are others dedicated to teaching through Floortime, and still others with the focus largely on Relationship Development Intervention. If you know what you want, you can find it locally and you can fund it, you're in great shape. If not, you may have to go with the program that's available and fundable. The downside of a school for children with autism is the world unto itself. While at school, children experience ONLY people who understand and care for them. Their peers are all autistic. Even parents of their peers "get" their autism. Even when the school deliberately creates opportunities for inclusion in the typical world, those opportunities are carefully contrived and controlled. That means that your child with autism will have relatively few opportunities to learn the coping skills they're likely to need when they graduate.